(CHICAGO, Ill; April 11, 2017) – Oxford Capital Group and Quadrum Global today announced that the comprehensive redevelopment and adaptive re-use hotel conversion of the historic Atlantic Bank building at 168 North Michigan Avenue will be christened the Hotel Julian, the flagship property of Oxford’s latest luxury lifestyle hotel brand. Diagonally across from Millennium Park, the $75 + million development is slated to open in late 2018. 168 North Michigan Avenue was designed by the famed architectural firm Marshall & Fox, architects of such iconic properties as The Drake, The Blackstone, The Edgewater Beach Hotel & Apartments, and several prominent buildings on North and East Lake Shore Drive. The Oxford-Quadrum venture is restoring the building’s historic terra cotta facade and seamlessly integrating it with modern design elements. The Hirsch Associates LLC design incorporates a five-story addition on top of the existing structure clad in a faceted glass curtain wall, which is brought down, through the terra cotta façade to the base of the building. At ground level a two-story façade with a folding glass wall set within a terra cotta portal will open up the Workshop / APD designed food and beverage venue and lobby to Michigan Avenue and an outdoor dining experience. The interiors of the hotel rooms have been designed by the Getty’s Group to provide modern, yet elegant accommodations. A second western entrance, located on Garland Court, leads to the building’s contemporary lobby and allows easy drop-off and pick-up of hotel guests. 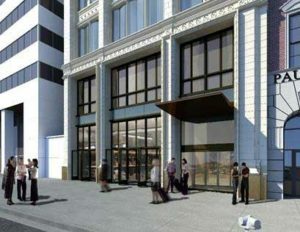 “The building’s Michigan Avenue location, diagonally across from Millennium Park, as well its proximity to Chicago’s thriving central business district and the Chicago River, make this an optimal place to create a high design and experiential lifestyle hotel that caters to business and leisure travelers alike,” says Sarang Peruri, Principal at Oxford Capital Group, LLC. To be managed by Oxford Capital Group affiliate, Oxford Hotels & Resorts, LLC, each of the 218 spacious and contemporary guestrooms will offer stunning views of Millennium Park and the lively city surrounding it. The hotel will also feature a unique chef-driven food and beverage venue with indoor and outdoor seating called About Last Knife (ALK), and a state-of-the-art, 24-hour fitness center. To learn more about Hotel Julian, please visit www.oxford-capital.com or www.ohrllc.com. Oxford Capital Group, LLC is a national real estate investment, development and management firm. Oxford Hotels and Resorts, LLC is its wholly owned hotel operating affiliate. Oxford, its affiliates, and principals have been involved in approximately $3 billion of real estate and private equity investments, including approximately 13,000 hotel rooms and over 2,000 senior housing units. 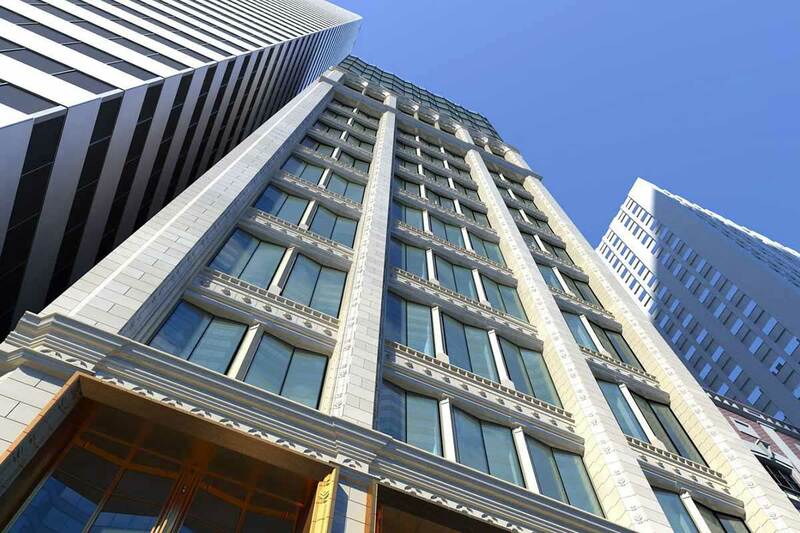 The firm's primary areas of focus are hospitality, mixed-use, senior housing, multifamily, urban retail, parking, and other operationally intensive forms of real estate. This includes health, fitness, spa, athletic and sports/entertainment destination clubs, and entertainment destination outlets including hotel rooftop venues. Oxford's geographic focus includes the nation’s top cities, such as Chicago, New York City, metro Washington D.C., Boston, Los Angeles, San Francisco, and other select markets with unique attributes including Charleston, SC, New Orleans, LA, and a variety of markets throughout Florida. 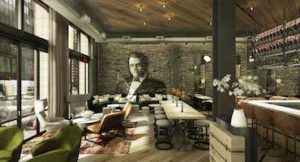 In addition to such national projects as Hotel Lexington NYC, The Metropolitan Hotel NYC, The National Conference Center in Northern Virginia, The Godfrey Hotel Boston, and The Godfrey Hotel Hollywood, Hotel Julian is Oxford’s 12th hotel project in the Chicagoland market. These have included such award winning developments as LondonHouse, The Langham, The Godfrey, Hotel Felix, Hotel Essex, Hyatt Magnificent Mile, Hotel Cass, Hotel Versey, Renaissance Chicago-North Shore, Doubletree North Shore Hotel and Conference Center, Hyatt House Chicago-Northwest. Its growing hospitality brand collection includes ALK, Bay Harbor, Beach, Cass, Essex, SX, Felix, Godfrey, I|O, LondonHouse, LH, Julian, and SpaBoutique. For information, visit www.oxford-capital.com or www.ohrllc.com. Quadrum Global is a global real estate investment and development firm focused on value-add opportunities. Through its network of six offices and affiliates worldwide, the firm is currently targeting value-add opportunities mainly in the U.S. and the U.K. Since 2009, the group has committed over $1 billion in capital to real estate investments in the US and grown its total portfolio to $2 billion. For more information, visit www.quadrumglobal.com.